If you are planning on hiring a car from Malpensa Airport it will save time if you make your reservation before you travel. 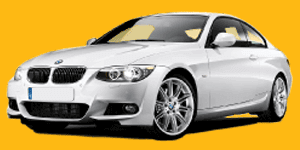 This will not only ensure that you get the make and model of the vehicle of your choice, but it will save time filling in paperwork when you arrive at Milan Airport. 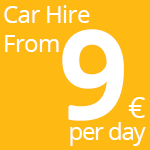 Car hire is a very competitive business in Italy, so to save you time having to search all the websites of the individual car hire firms at Malpensa Airport, we have partnered with a firm called Cartrawler who hold a database of car hire firms in Malpensa which they can match your requirements against and come up with a very competitive quote. Also when collecting your hire car from the Malpensa Airport make sure that you check it for any dents or damage, and if you find anything ask the car hire representative to make a note of it on your documentation before you drive off. Failure to do this could result in you being charged for the damage when you return the car and it is checked by the company.